Visitors to B2B Exchange know that it helps to have the right features and a brand that will be there for you, but at the end of the day the storage containers prices you pay will be among the most important parts of the decision. That’s why we’ve assembled actual prices paid for storage containers, straight from our users. Use these figures as a guide as you figure out what to pay during your negotiations. 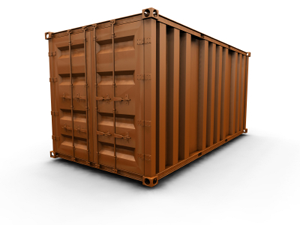 There are a variety of options for you to explore as you look for storage containers prices. Auctions, e-commerce and request for quote services all provide you a way to evaluate different models, talk to dealers and ultimately figure out what’s best for your storage container needs. Check out the links below for some of the best resources on the web when it comes to shopping for a storage container. The Internet has enabled the wisdom of the crowds like never before. B2B Exchange brings that wisdom straight to you by collecting the comments and questions of other storage container buyers as they tackle business purchasing head on. If you’re not sure what to be looking for in your next storage container, check out the most common thoughts, fears and ideas shared by your fellow business purchasers. Storage containers are solid-steel portable boxes are an affordable way to get extra storage space. They typically rest outside your office or worksite in a clean, open area for easy access and removal. Storage containers also feature special locks to protect your wares and are tested for waterproofing and wind resistance. Many business owners shop for used storage containers prices because they’re significantly lower than the cost of brand-new containers. Another way to save on storage containers is to rent instead of buy. Businesses in retail, construction, manufacturing, and government industries use storage containers to store excess inventory, business records, spare parts, supplies, seasonal decorations, tools, or equipment. The standard storage container is 20' x 8' and weighs 2,500 pounds, but are available in smaller and larger sizes. They are typically made with 14-gauge corrugated steel sides, doors, and roofs, with 7-gauge steel frames. The floors are made from marine wood that is just over one inch thick and can withstand 16,000 pounds of pressure per 100 square feet. What will you be using your storage containers for? What do you need for length & width requirements? What would you ideally like to pay for storage containers prices? Would you consider buying used? Would it make sense to rent a storage container? Do you have other special requirements for your storage container?